In Master tab, select Customer option. 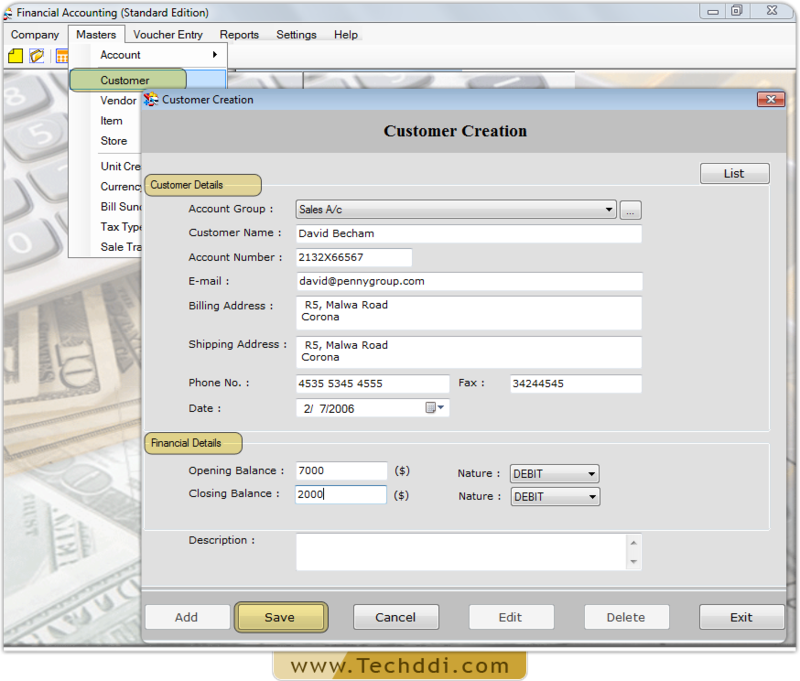 To accomplish customer creation process fill customer and financial details and save it. 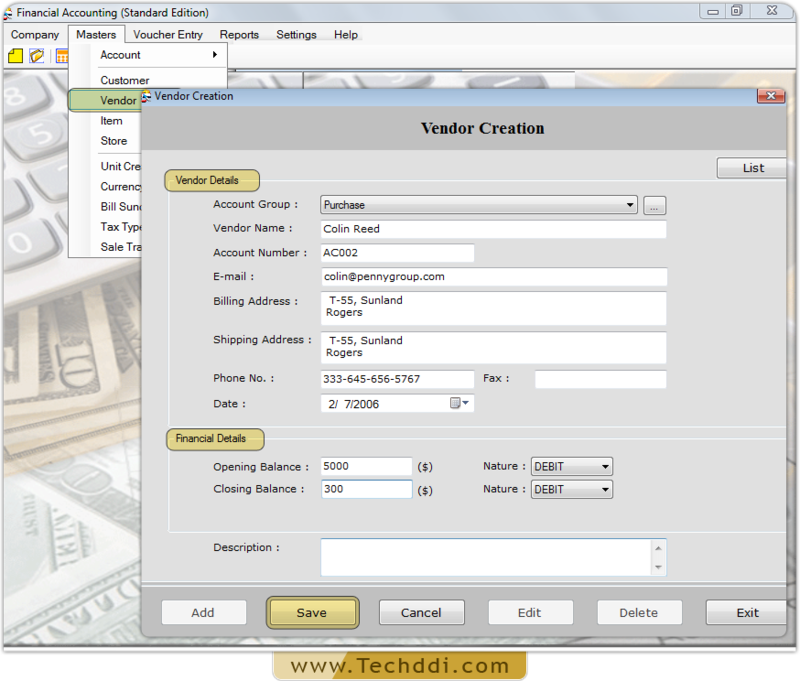 Select Vendor option from ‘Master tab’, fill vendor and financial details to accomplish vendor creation process.